Brave the night and defy its horrors with the weapons and relics of fireside legends. 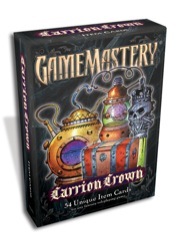 Tools for both battling and creating gothic monstrosities yearn to be claimed in the Carrion Crown Adventure Path. 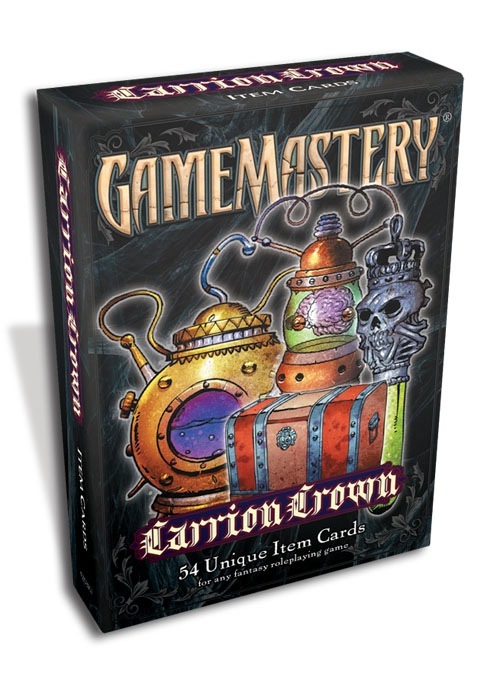 This 54-card set of beautifully illustrated, full-color item cards allows you to track your newest and most fearsome treasures in vibrant detail. Thank you Zaister for the information! #12 is Pharasma, #13 Urgathoa.